Token Creek Mobile Television marked its 10th anniversary of broadcasting ExpoTV by adding a fourth channel in 2017. 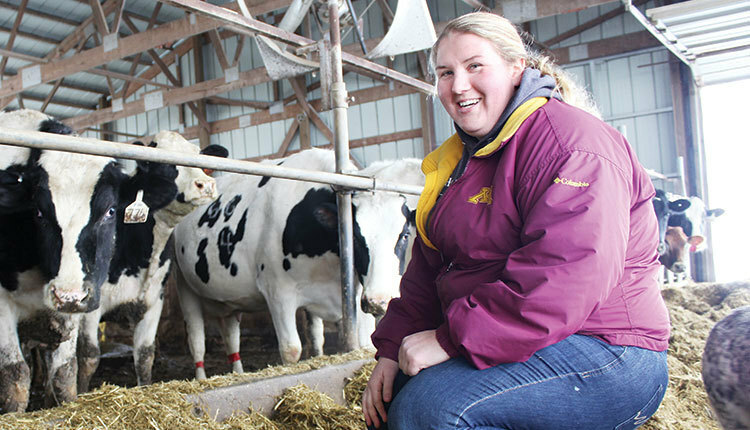 The author grew up on a registered Jersey dairy farm in Gays Mills, Wis., and has been a multimedia journalist on radio and television. 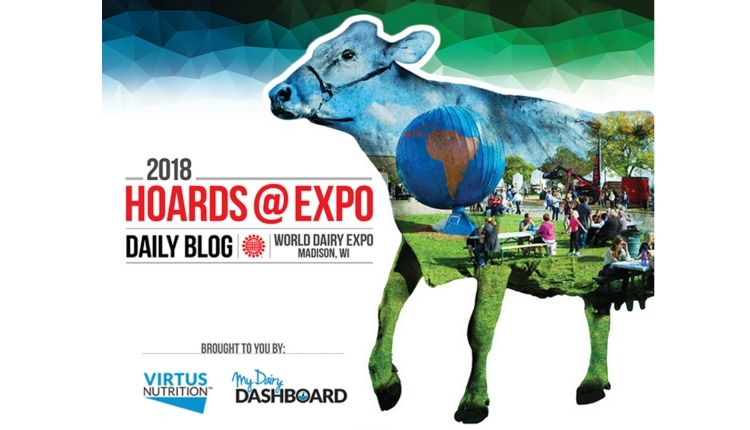 ExpoTV brings World Dairy Expo to life for those who can’t make the trip to Madison, Wis. Lights, cameras, Expo! 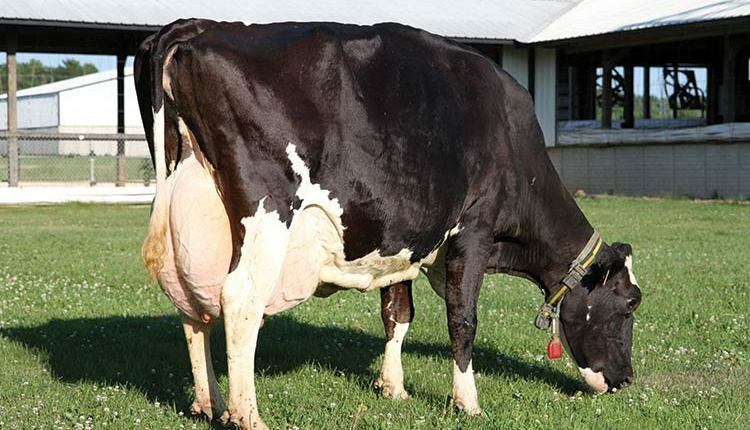 Since 2008, Token Creek Mobile Television brought World Dairy Expo’s colored shavings, elated exhibitors, and world-class cows to the big screen through ExpoTV. 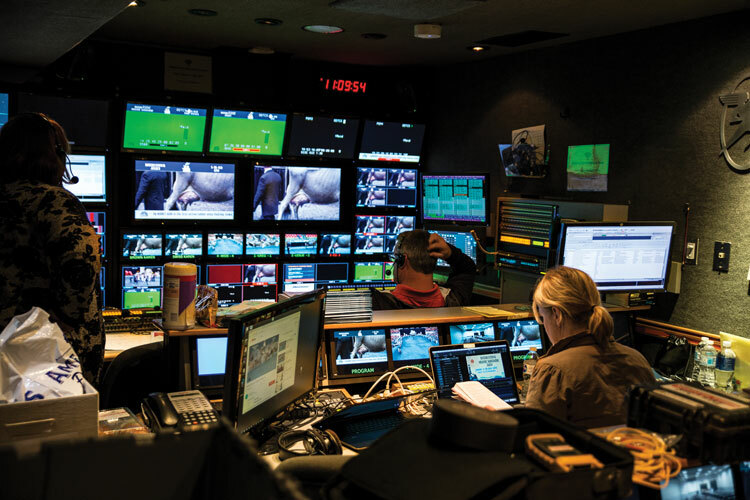 Their truck on the north side of the Coliseum hummed with technology that broadcasted the show through a cable television network across the grounds and online for viewers around the globe. John Salzwedel, the company’s president, remembers well the first time Token Creek was asked to produce the international dairy show. Mark Clarke was the general manager of World Dairy Expo at the time. Salzwedel knew Clarke from previous projects, so the two decided to let Token Creek take over ExpoTV. 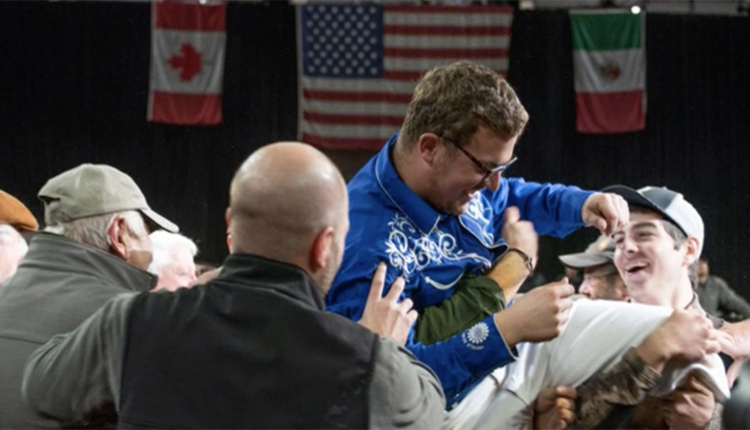 In their humble beginnings, the show was recorded on tape with two fixed cameras and one hand-held camera compared to 2017 when Token Creek used 10 cameras throughout the grounds. The “sneaker network” of physically walking files from one place to the next was eventually replaced with servers that staff used to share videos and other content. With the new pavilions built in 2014, Token Creek had the chance to install fiber cable on the Expo grounds, facilitating the broadcast on the large screens in the Expo Hall, television monitors in the New Holland pavilions, and monitors in the Coliseum above the showring. In 2017, all ExpoTV channels aired in high definition for the first time, putting champion cattle in clearer view. Before World Dairy Expo, Token Creek Mobile Television mostly worked with sporting events. 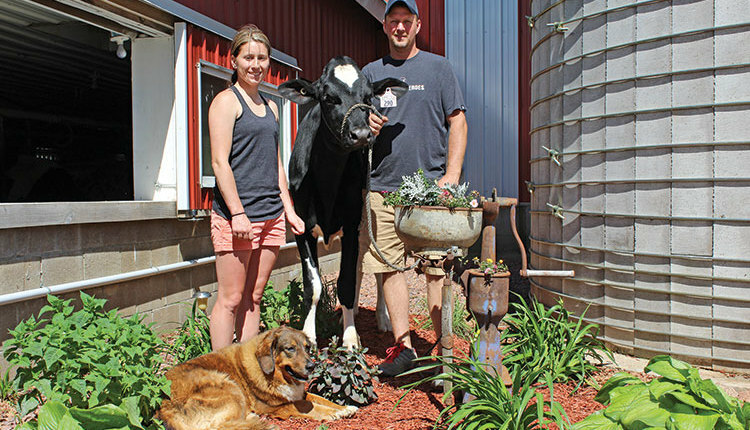 Their fleet of four trucks travels internationally, but of all the places they go, Salzwedel said his favorite stop is World Dairy Expo. He grew up on a farm in rural Dodge County, and for him, going to Expo is like going home. While movements of cattle are more easily captured than those of athletes, there are still challenges that come with showcasing their quality. With his background in agriculture, Salzwedel helps his staff understand what makes the highlight reel for dairy breeders. Historically, Token Creek offered three channels. Two channels featured the split showring, and the third presented all other Expo activities, according to Salzwedel. Wanting to improve the ExpoTV experience, Token Creek and World Dairy Expo held a focus group. 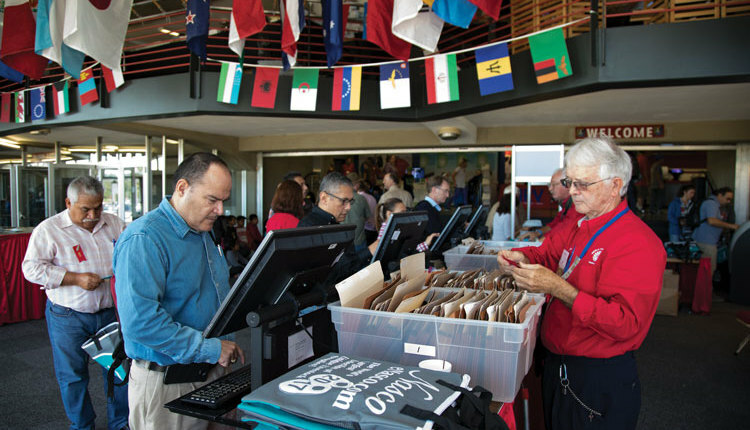 Staff discovered they needed to get more word out about Expo, not only locally, but also nationally and internationally. Their solution was to add an Expo news channel, so Token Creek celebrated 10 years of broadcasting ExpoTV in 2017 by adding a fourth channel that was dubbed Expo360. With the extra channel to prepare for, Token Creek arrived more than a week before the show to set up. 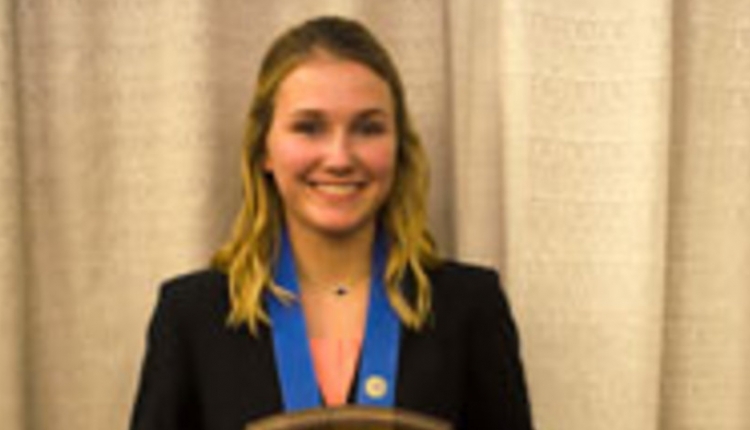 The company, along with World Dairy Expo staff, created a makeshift studio in Pavilion 1 with multiple cameras, an anchor desk, and an interview area for guests to speak with the host, Kristin Olson, World Dairy Expo media relations manager. Olson anchored a full 30-minute newscast in the morning and another in the afternoon to recap the day. “As soon as the afternoon show was done, we were already working on what is going to be on the next morning,” Salzwedel said. They treated the show as much like an actual television news broadcast as possible. Staff in the control room created lower third graphics, cued up the show open, and produced various elements. Others were on the grounds shooting footage, writing features, and packaging stories. Examples included “Foodie of the Day” introducing food vendors on the grounds. They also highlighted different venues inside the Expo Hall and companies from around the world that brought cutting-edge technology in the dairy industry. While the fourth channel is in its first year, Token Creek looked for ways to improve the Expo360 look and format for 2018. Some of the biggest changes that came to mind were improving graphics, the show’s opening, and the set. Salzwedel said his goal is to make Expo360 look like a network broadcast to keep it visually appealing for years to come. In 2017, the online viewing numbers came in strong with more than 143,000 users watching 2 million minutes of ExpoTV, according to World Dairy Expo. The average viewing time was 14 minutes, and the top five countries for viewers included the United States, Canada, Netherlands, United Kingdom, and Switzerland. 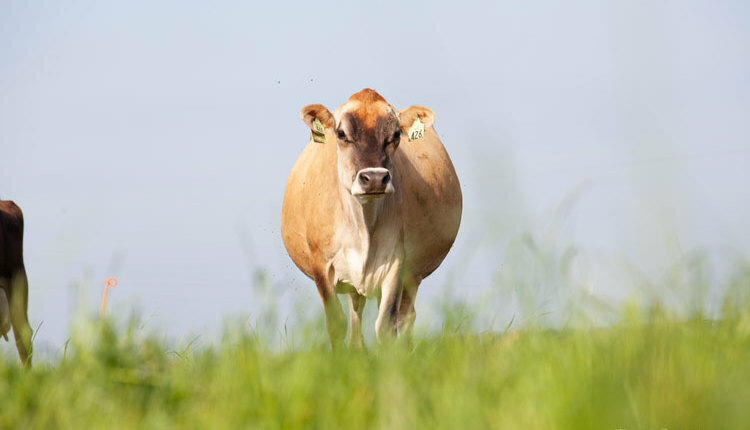 Salzwedel explained their target audience is not only people who are involved in the dairy industry, but also those who have a general interest about agriculture. 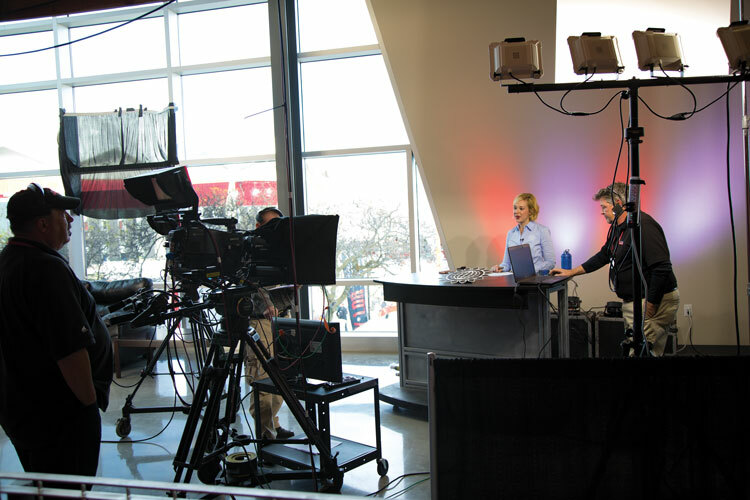 After a decade of dedication to broadcasting the sights, sounds, and celebrations of World Dairy Expo, Salzwedel said he and his staff will continue enhancing ExpoTV to bring the future of the dairy industry to viewers across the globe.